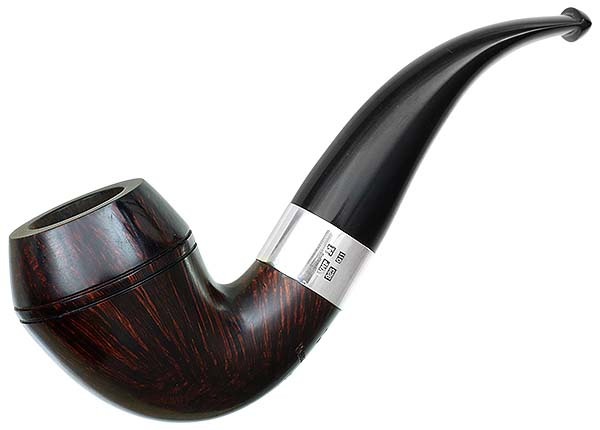 I never thought we’d see the day when the Pipe of the Year was actually on the world market and available, at least with those with eyes to see, before January 1st. But so it is—the 2018 POTY is slowly rolling out, and true to the sea change at Peterson, it’s out on time. Those who’ve been Pete Nuts for years expect the POTY here in the US around the second week of June. This was because, traditionally, the company wanted to have the hallmark stamp bear the year of the pipe’s issue, and getting the Assay Office in Dublin Castle to get the sterling marked meant the pipes wouldn’t get on pods to cross the ocean until May. And that thinking surely helped with dating issues. 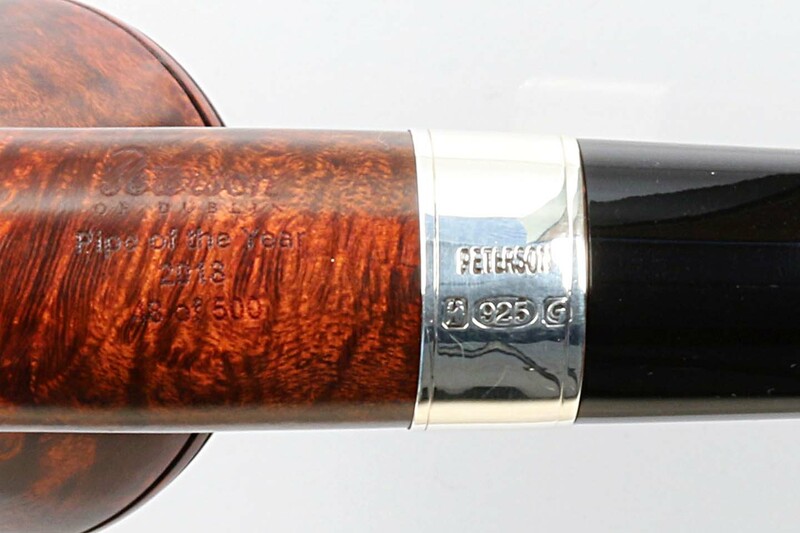 What this means for newer Peterson pipes is that the hallmark may actually predate the pipe–something new in the company’s 150+ years history. The POTYs I’ve seen recently all have a G for 2017 and not H for 2018 (and the same can be said for early releases of the St. Patrick’s Day 2018 commemorative). But as the pipe itself is plainly laser-engraved with the date, all this will mean is that companioners will know with a little more accuracy in what part of the issue of 500 pieces their pipe was made. If you follow the Pipe of the Year, you know there was a change in direction when Conor Palmer became Commercial Director (click here for a visual history of the POTY). His strategy since he began with the company in 2014, he told me, is simple: “we like to try and vary the shapes each year. And this year we decided to settle on a bent shape at the outset.” If you look at the 2014, 2015, 2016, and 2017 pipes, you’ll see this pendulum swing: from the large straight army-mount in 2014 to the 2015 Oom Paul Founder’s Edition, then the straight fat-pencil tubular modern chimney of 2016 followed by the homage to the short, chubby vintage “Jap from the 1906 catalog in 2017. Archives, indeed. 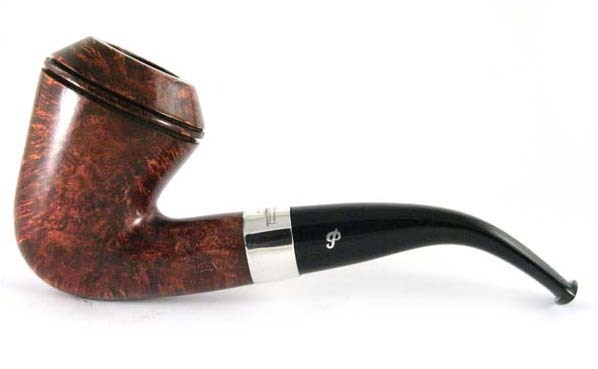 The pipe can now be reasonably be said to be part of an emerging Peterson shape group, but to define it we need to step back and look at its predecessors. 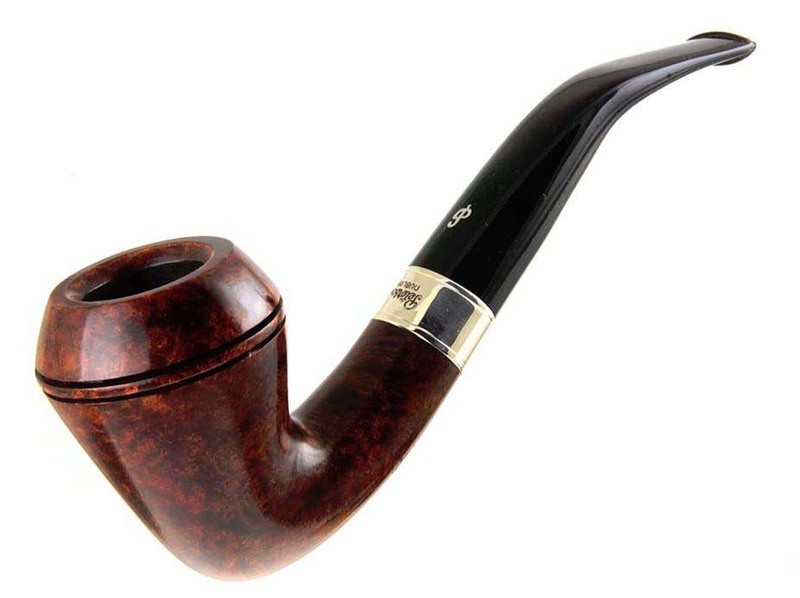 The first appearance of a shape like this was the “Hansom” from the Return of Sherlock Holmes series (1997), which later appeared as the XL26 in the Kinsale line. I’ve read it described as a “combination acorn, bulldog, and calabash.” I can see all three of these shapes, but I wonder if “stack bent bulldog” isn’t more visually to the point? When I first saw this shape, I was almost repelled by it (“Nope! I’ll skip that one,” I remember saying). But it slowly and inexorably cast its spell on me, perhaps because there is something iconically Victorian about this shape and I have always loved both Dickens and Doyle. I had never seen anything like it. Its conical or v-shaped chamber also makes it a standout in my rotation, making for some of my happiest VaPer and virginia smoking experiences. 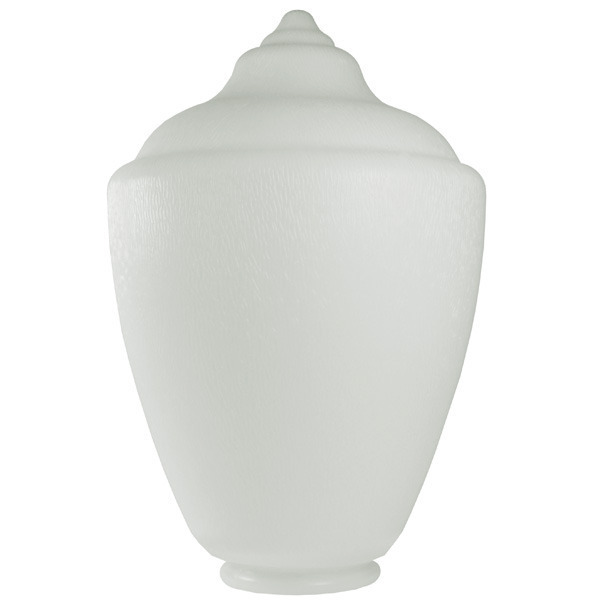 Bowl Height: 2.47 in./62.64 mm. Chamber Depth: 1.87 in./47.62 mm. Chamber Diameter: 0.78 in./19.91 mm. Outside Diameter: 1.71 in./43.55 mm. 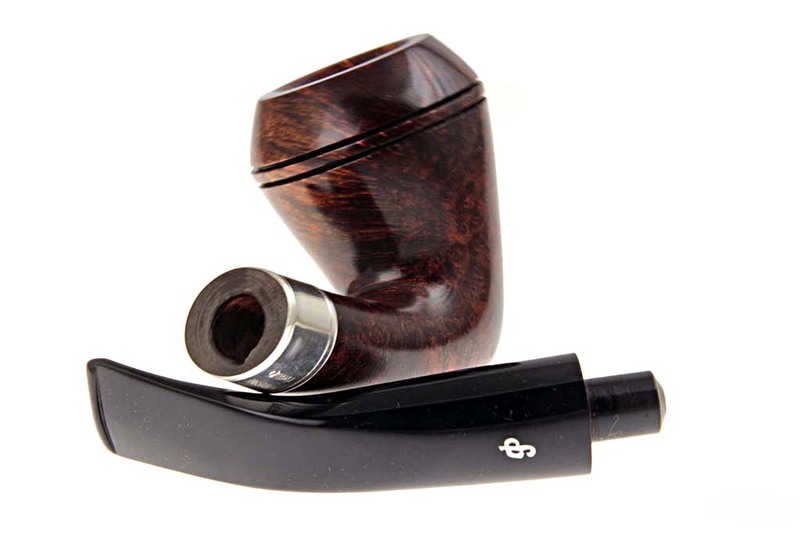 In 2012, Peterson released the Iceberg 1912 Collection “Bow,” (B60), which some e-tailers have mistaken for the Hansom. Apparently, they can’t see the round shank of the Bow, which actually makes it (to speak of it again as a hybrid) a “combination acorn, bulldog, and calabash.” “Stack bent rhodesian” is easier to visualize. Actually the Bow has a different frazing, related to the Hansom but not identical. Look at the difference in the crowns at the rim, for instance: the Hansom has a taller and more steeply inclined cone above the double beads than the Bow. If you take the time to compare the measurements from several examples of each, you’ll also find that the Hansom routinely has a slightly smaller chamber diameter, is heavier in the hand, and most importantly, has an average of 5mm extra depth in its chamber. It’s a reasonable mistake, but at least in my experience, the pipes make for much different smoking experiences. Behind the new POTY, the Bow and the Hansom there is at least one early briar shape to which all three bear a distinct family resemblance: Comoy’s “Quebec” from 1911. If Neil Archer Roan’s A Passion for Pipes blog were still online you could read all about this remarkable piece. 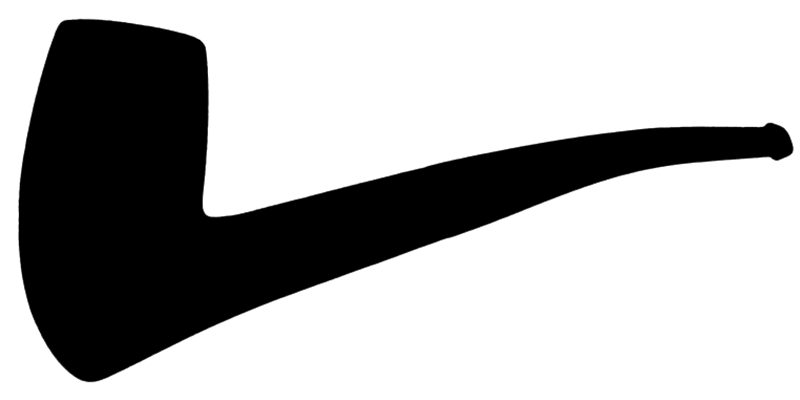 As things stand, you can at least take a look at it in an illustration of one of the fourteen reproductions Roan had made for his blog’s 2014 Pipe of the Year. It lacks the more conically-articulated head of the Bow and Hansom, but its hefty shank and stem look like something that might have (but did not, in fact) come from Kapp & Peterson. Hmm. “Believe it or not,” said Conor, “the silver work is much trickier for the guys to complete on oval or diamond shanks as it is harder to ‘turn over.’ But we felt it was worth pursuing in the interest of creating a unique shape this year.” Which indeed they have. 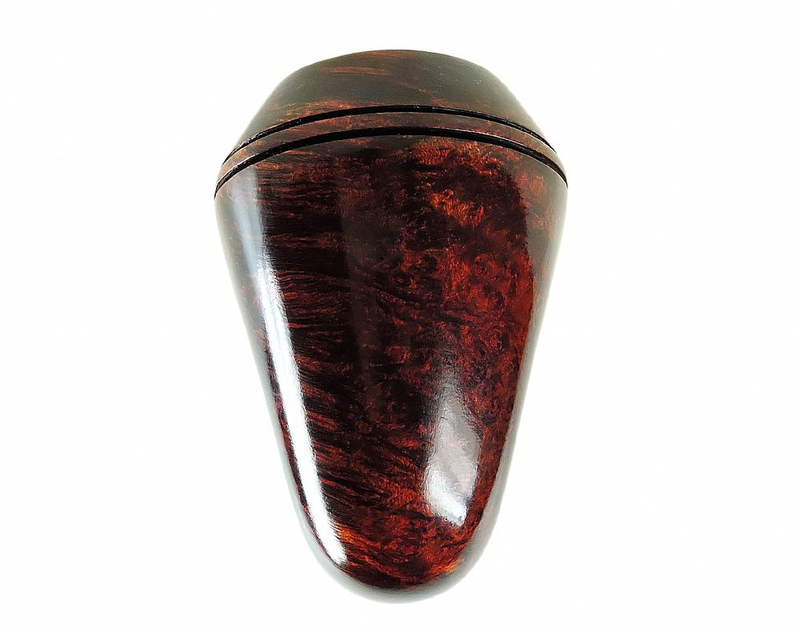 I’m looking forward to a first smoke and expect marvelous things from this pipe’s 19mm x 50mm conical, v-shaped chamber. This is not a chamber size you can find from most pipe-makers these days, and more’s the pity. I also appreciate the wide mouthpiece and its 4.57mm thickness, both of which will make it easy to clinch. And either the acrylic is getting softer, or I’m growing used to it. The pipe comes in one of the new snap-hinge hardshell boxes (pictured at top) we’ve seen on the Amber Spigots—a real upgrade for ephemera lovers and the best box and a great improvement over the XL black box of recent years. Incidentally, Joe Kenny, factory manager, told me the rustic version (for which I do not have an illustration) will feature the same red over black stain as seen on the sandblast. But the Hansom, as I said earlier, has always seemed to say something Victorian. 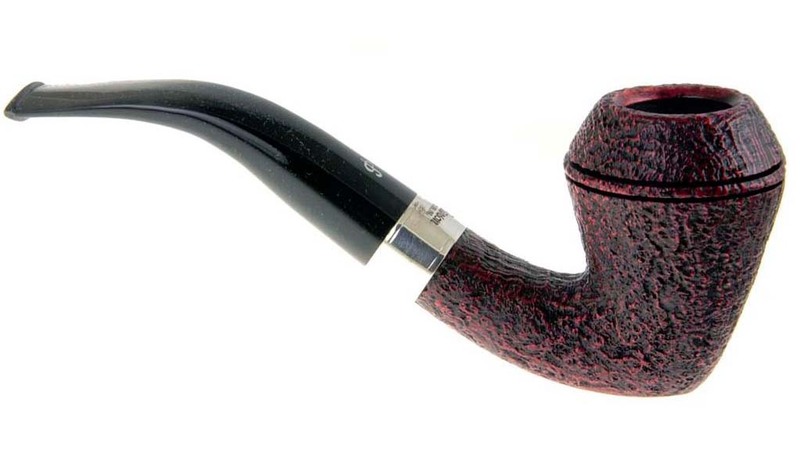 I’ve thought about the shape on and off in the years since the pipe became part of my rotation but could never quite put my finger on it. The stars finally lined up one night when I was smoking the pipe and watching Jeremy Brett in one of the BBC / Granada adaptations: it looks like a Victorian gaslight. Length: 5.57 in. / 143 mm. Bowl Height: 2.28 in. / 58 mm. Chamber Depth: 1.96 in. / 50 mm. Chamber Diameter: 0.74 in. / 19 mm. Outside Diameter: 1.64 in. / 42 mm. Mouthpiece Width: 0.735 in. / 18.68 mm. Mouthpiece Thickness: 0.18 in. / 4.57 mm. *Sorry, just can’t help myself. 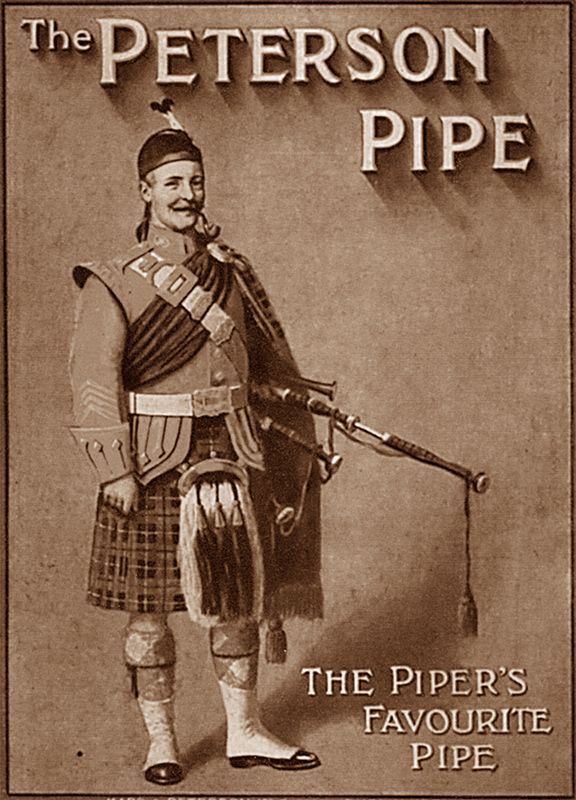 From Wikipedia: The most common form of pipe band, the Scottish/Irish pipe band, consists of a section of pipers playing the great highland bagpipe, a section of snare drummers (often referred to as ‘side drummers’), several tenor drummers and usually one, though occasionally two, bass drummers. The entire drum section is known collectively as the drum corps. The tenor drummers and bass drummer are referred to collectively as the ‘bass section’ (or in North America as the ‘midsection’). The band follows the direction of the pipe major; when on parade the band may be led by a drum major, who directs the band with a mace. Standard instrumentation for a pipe band involves 6 to 25 pipers, 3 to 10 side drummers, 1 to 6 tenor drummers and 1 bass drummer. Occasionally this instrumentation is augmented to include additional instruments (such as additional percussion instruments or keyboard instruments), but this is typically done only in concert settings. Peterson is my favorite pipe and has been for years! Thanks, Tom! Happy New Year! I read yours as well (thanks to Google Translate)! 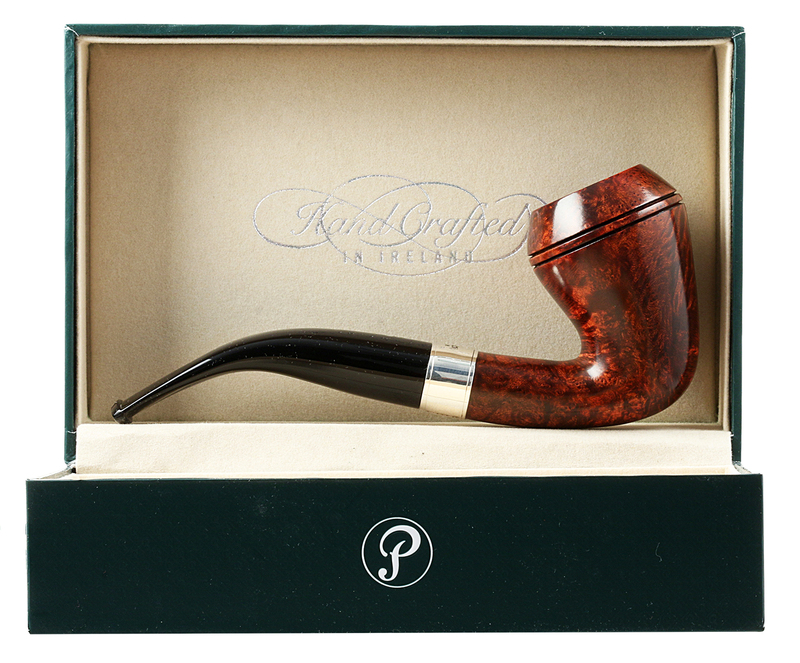 The Italian Peterson fans are the first to have this pipe. 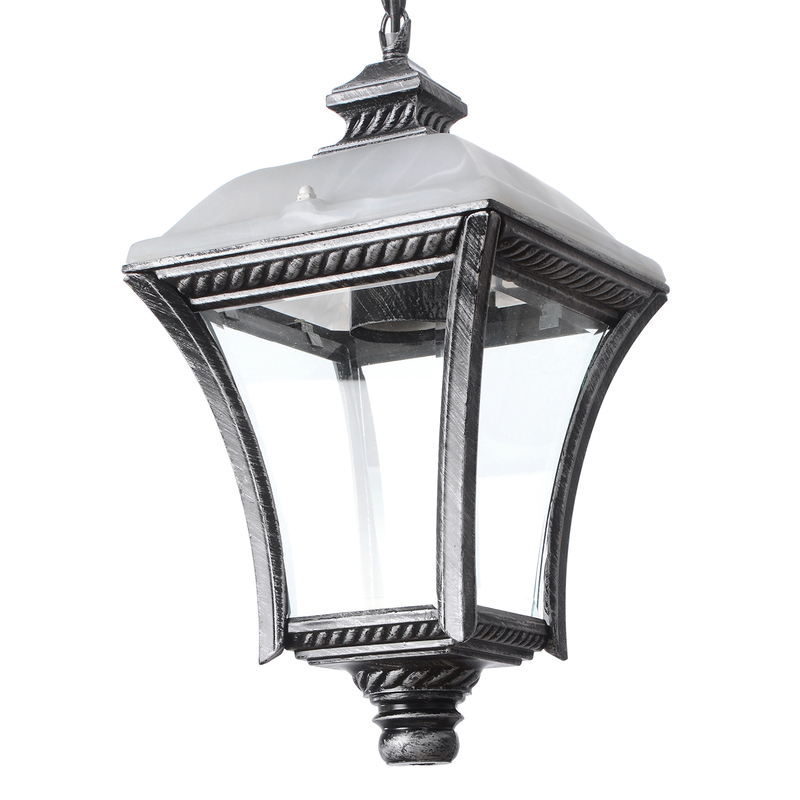 Gaslight: Very good! – classic, descriptive! Thanks, Linwood. Happy New Year! Mark, thanks for sharing the information. I always learn something new when I read your posts. It has been awhile since my adventures in Amber. If you recall i picked up a model 15, straight grain, sterling spigot with both Acrylic and Amber stems. Then after 2 half bowls, a soft spot appeared in the bottom right, and at your suggestion, i sent it to Sallynoggin. Both Glen Whelan and Conor Palmer went well out of their way to not only solve the problem, but to go so far above and beynod, i was without words. As you had said, they would probably send a replacement bowl, as well as the one first bought, which they did, with instructions to make a solid pipe mud…and it has stood in like a chsmp for near a year now…i haven’t had more than one 1/2 bowl from the new bowl, which is more of a flame grain….Amazing to see how these beauties take on a somewhat darker, almost walnut coloration after smoking for awhile…maybe its the thinner wall of the 15. The real kicker was that i was sent the Deluxe Green Snapping closure box, and not 2, but 3 socks were in it…Glen had sent a note saying “Hope you enjoy your Amber “Twins”. Those amazing folks sent me a second Amber Mouthpiece, this time a P-lip! i’ve still never smoked thru them, as to keep their translucence, but i did find a nifty way to protect them from chips or nicks, in the event i decide to try one someday. i bought some 3M clear shrink tubing, and protected them like vinyl slipcovers on the sofa! Now i have both varieties in Amber…fossilized over millennia, and made into pipe stems the year my Momma was born! As our Birthday approaches…yes i was born on her Birthday…so we party together! 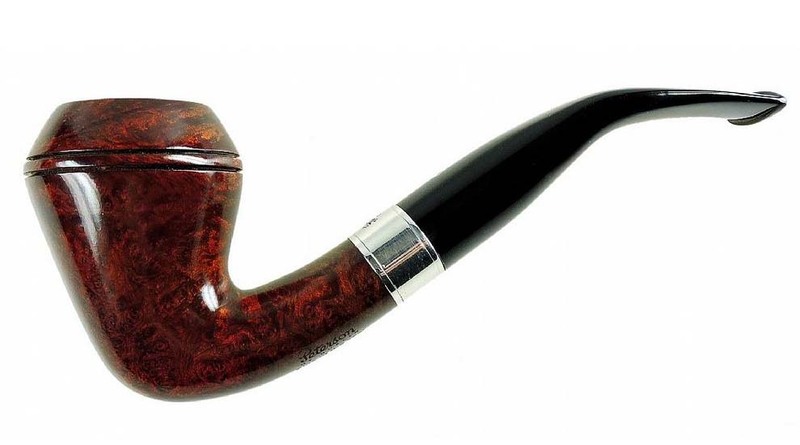 i am so glad i was blessed to find the original 15 as an Estate pipe that had yet to ever even be test lit, all for i think $169, including the acrylic and Amber stems, now i have 2 Model 15 Amber Stem Petersons….i still owe them and the community a video. i’ve hated the ones i’ve filmed so far, but its coming. i have seen these for sale for as much as $599 each, just a yr later, whew! Mark, when we were first talking about this, the guess was between 30-50 stems were still there….i am assuming they have found a more expansive trove, seeing the new models this yr? Well, that what I thought at the time. I later learned Peterson had about 100 kilos, all told. I think we’ve seen most of the pipes appear now, but who knows? I know they have quite a few horn stems, and these are beautiful, especially the P-Lips. Nice looker that pipe of the year. As to the XL 26, loved the look of it immediately and picked it up. Stacked bent bulldog is a nice descriptor. Never knew what to call my XL16. So, perhaps it’s a stacked, bent Rhodesian. Mark, I know what you mean by a shape growing on you. Initially, did not like the looks of the Hopkins at all then suddenly it grabbed me. Now I own its Kinsale version and it’s my favorite Peterson shape. Being of Ulster-Scot extraction, would love to have that poster. I’m a fan of the Hopkins as well. The poster may be a possibility at some point after the book is published. This a sepia version of the color original. From what I can tell, it was only issued at post-card size during an ad campaign in the 1980s. No evidence (yet) that it was an early-years promotional. I probably confused the heck out of you when I said XL 16 Mark. I meant XL 17, of course. Sheesh, I should stick to the original names of the pipes instead of shape numbers because I always confuse them 🙂 If they ever come out with that poster, I’m in.